Get Our Class Schedule and Rates here! Brazilian Jiu Jitsu (BJJ) is a martial art, combat sport, and a self-defense system that focuses on grappling and ground fighting. This martial art can teach a smaller, weaker person to successfully defend against a bigger, stronger assailant by using leverage and proper technique. This is done by applying joint locks and chokeholds to defeat the other person. Brazilian Jiu Jitsu training can be used for sport or self-defense. Sparring, commonly referred to as “rolling,” plays a major role in training and a premium is placed on performance in relation to progressing through the ranking systems. 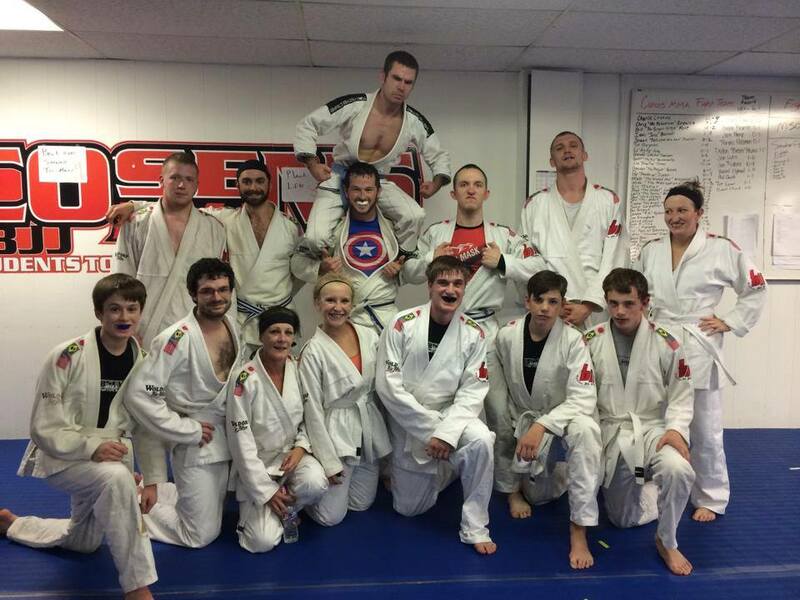 Our Basic Training BJJ program focuses on building a strong grappling foundation. Students in this program will begin to understand the fundamentals of BJJ and how to use the art in self defense situation. Those looking for a more physical class where they can use their BJJ techniques in “Real Life” scenarios through Jiu Jitsu sparring “Rolling” will want to enroll to our Black Belt Training program. This program not only teaches the basics but will add advanced/flashy techniques to your Jiu Jitsu repertoire. Owner of Cosens MMA (Charlie Cosens) Training With Brazilian Top Team in Rio de Janeiro, Brazil.